One of the things you'll likely encounter at some point in your investing lifetime are custodial fees, sometimes referred to as safekeeping fees. These terms can mean different things depending upon the context of your specific investment portfolio. Specific types of custodial banks, often called custodians, safeguard securities for individuals or companies. These entities do not engage in typical commercial or retail banking; they focus on simply holding various assets for safekeeping. This includes stocks, commodities, bonds, currency, and precious metals. These types of companies also facilitate certain types of transactions, such as foreign exchange, arranging settlements for security or currency purchases or sales, and administering different actions related to securities, such as stock splits, bond calls, stock dividends, and business mergers. If a person living in the United States owns securities but is not a member of a stock exchange, they own the securities through a chain of registration typically involving at least one or sometimes more custodians. The process works this way because it would be impractical to register traded shares or other securities in each individual holder's name. Rather, the custodian is registered as a holder of the security and keeps them in an arrangement with fiduciary responsibility to the actual owners. The person that purchased the asset always remains the legal owner. Custodial fees can refer to one of a handful of fees charged you by a qualified financial custodian such as a bank trust department or registered broker-dealer. When you invest in stocks, bonds, purchase shares of a mutual fund or otherwise become an owner of a security, the executing broker takes cash out of an account and pays the person or institution from whom you are making the acquisitions. Once it receives the security, it stores it for you. Unless requesting a physical stock certificate, which is rare these days, or insisting upon the use of the direct registration system held through something like a direct stock purchase plan, investors often have the securities placed in a global custody account of some sort. The custodian keeps the assets safe, collects your dividend and interest income for you, gives you a monthly or quarterly account statement, handles any corporate actions such as receiving shares of a spin-off or making an election for cash or stock based upon your instructions following a merger. It also performs a host of other housekeeping tasks that would become overwhelming and quickly out of date if most investors had to deal with the duties personally. This term has become rarer but it usually, though not always, refers to a service, particularly by bank trust departments, for handling custody on behalf of a client who wants to keep his or her physical stock certificates on hand at the bank; usually in his or her name rather than a street name. A street name is the name of the bank, dealer, or brokerage firm that holds the stock or other securities on behalf of the owner. The bank trust department or custodian would physically hand over the stock certificate to the broker prior to the settlement date, in the event the investor had placed a sell order, or add additional certificates received from spin-offs to the vault, making sure the investor received his or her entitled share. When a security or asset is placed in safekeeping, the investor or depositor is given a receipt proving ownership. The asset does not become the property of the institution, it is merely holding on to it, so even if the institution went bankrupt, its creditors couldn't go after it and the securities would be returned to their rightful owner. How Much Do All of These Fees Cost? The tricky part about custodial fees and safekeeping fees is they can't always be compared on an apples-to-apples basis. Every firm is different and you get different things from various institutions at different costs. Many investors place their assets in the custody of their broker in a brokerage account, a convenient option handled so seamlessly that many people don't even realize they are different functions. Unless special treatment is requested, these securities will almost always be held in a street name, which again, means in the name of the brokerage firm. Brokerage firms do this to attract as many investors as they can in the hopes of generating trading commission revenue. As a result, many firms waive custody fees entirely so you don't even realize you're paying them because they're rolled into the commissions on trade executions. It isn't unusual for some firms to charge minimum fees, such as $100 per year if you don't have a certain amount of money in your account or you don't engage in any trades for a certain length of time to help it offset the expense of servicing the account. These aren't always bad and, in fact, can be fair. For example, look at an institutional-like trading platform such as Interactive Brokers. If a customer of the firm has less than $100,000 in an account and generates less than $10 in trading commissions per month, a makeup fee of the differential is applied so that each account pays at least $120 per year, which covers Interactive Brokers' costs, including custody costs. This is necessary because Interactive Brokers focuses on large, significantly wealthier clients who want economies of scale. Customers are allowed to choose between a fixed rate fee schedule and a tiered fee schedule. On the tiered schedule, by way of illustration, the commission is $0.0035 per share for U.S. stocks with a maximum commission rate of 0.5 percent of the trade value. If you bought 1,000 shares of The Hershey Company as of June 3rd, 2016, at $93.49 per share for a total of $93,490, you'd pay Interactive Brokers a commission of $3.50, or 0.0037 percent, as well as some nominal exchange fees, clearing fees, and other fees which are equally minor. You either have to be a sufficiently large account or generate some trading revenue for it to justify keeping your assets in custody without charging you. Interactive Brokers isn't being unfair, it's covering its costs by charging reasonable fees. If you go the route Benjamin Graham recommended in his treatise, The Intelligent Investor, you can hold your securities in custody with a bank trust department. Fully paid-off assets, in cash, with no chance of an institutional collapse coming near the assets you have the institution hold for you. You should probably pay only a handful of basis points per annum for the service assuming your account balance is more than six figures. When dealing with non-standard assets such as a hedge fund investment held in the form of limited liability company membership units or limited partnership units, specialty custodians who agree to deal with these securities often charge higher fees, which can vary from institution to institution. The same goes for a rarer type of self-directed Roth IRA, self-directed IRA, or another self-directed retirement plan. This can make sense for wealthy investors who want to buy assets such as an entire apartment building under the confines of their tax shelter so they pay no tax on the rental income, provided they follow a host of strict rules. 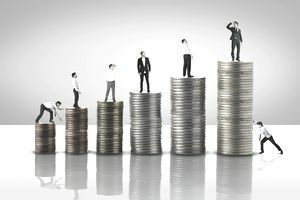 These custodial fees can run into the thousands of dollars per year but can be worthwhile, for the right investor under the right circumstances as it would be otherwise impossible for him or her to use this unique portfolio strategy that can produce so much passive income. This is not an area in which the inexperienced should tread lightly. Custodial fees and safekeeping fees are one of the things that make up your personal expense ratio, along with other fees such as registered investment advisor fees, personal financial planner fees, the "look-through" fees on exchange-traded funds, index funds, and mutual funds, and any other costs you incur in the management and administration of your investment portfolio. Perhaps you're dealing with specialty products and services, with all-inclusive costs on portfolios larger than $1,000,000 that are higher than 1.50 percent, inclusive of custody fees and all other expenses and presuming some sort of international equity exposure. That focus, all-inclusive costs, is important. Situations exist in which the fees are structured in a way where a firm charging 1.50 percent is effectively assessing lower fees due to the way they treat certain cash and asset classes than a firm purporting to charge only 0.75 percent. You cannot pay attention to the sticker rate in isolation, you must understand the total assessed fees on your entire portfolio. One caveat is the existence of certain firms that cater to high-net-worth individuals. In some rare cases, you might see someone paying 2.5 percent expenses on a $10,000,000 portfolio, which sounds bizarre. Look closer because there is probably something else going on that makes sense in context as that doesn't really cover only asset management costs. Wealthy clients engaged in these arrangements frequently know what they are doing and the value they are getting.